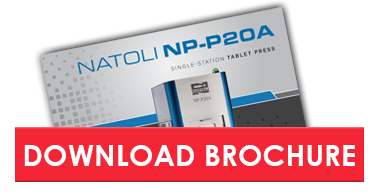 Natoli Engineering’s NP-P20A single-station hydraulic tablet press is a favorite for the production of injectable micropellets and for marginal formulations requiring deep-fill. The NP-P20A meets the FDA’s requirements for batch reporting and secure data management under CFR 21 Part 11 compliance. Industry-leading Natoli AIM™ ProPlus control system software provides all the reporting and features of a full-size production rotary tablet press – modified to a single-station configuration. Records all critical setting changes during batch production. Reduces set-up time by storing product recipes in a secure database. Records and stores all batch records, alarms, errors, stops and starts. This information can be extracted to a USB drive or automatically saved to a secure network drive. Has five levels of security based on job function. Authentication and accessibility to different modules can be managed at the console or from a remote connection. Optional authentication using an HID badge can be added. Provides a secure connection so settings and critical production data can be monitored remotely from a desktop PC. Natoli engineers can troubleshoot issues, monitor performance, and install software upgrades remotely after hours if required. Standard Fill: Produces standard-sized tablets from formulations that are capable of consistently filling the dies. Shaker Fill: Enables injectable micropellets to be produced vertically even with product formulations whose characteristics will not fill the die consistently. Deep-Fill: Provides the fill depth to make very thick tablets and injectable micropellets vertically even in higher dosages. Double-Fill: Produces tablets that require more fill depth than allowed with the deep-fill option. Pre-compression: Eliminates air entrapment to prevent capping and lamination and can be run simultaneously with other operating modes. Consistent Pellet/Tablet Thickness: Both upper and lower punch positions are adjusted at maximum compression to ensure consistency of tablet/pellet thickness, a critical dimension for injectable therapies. 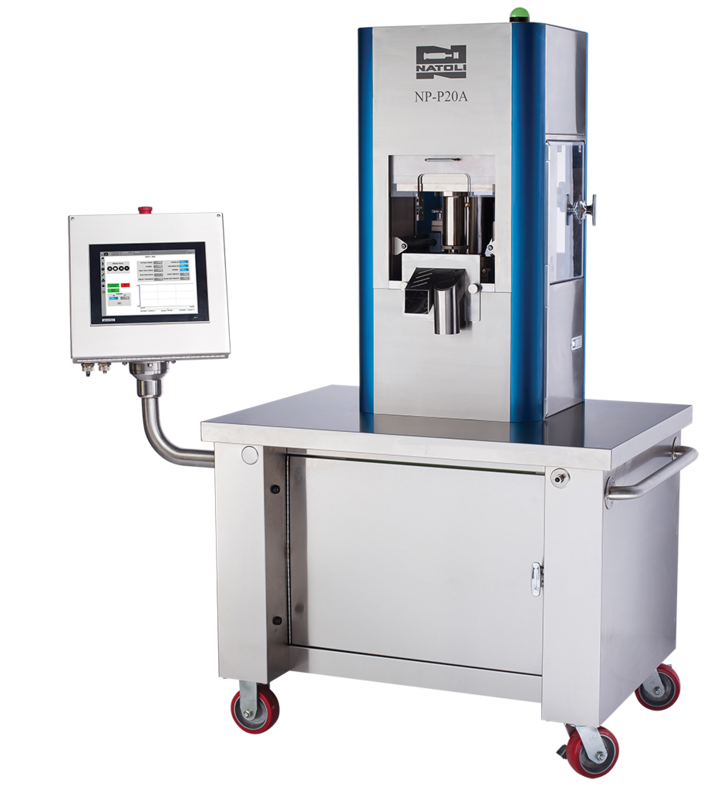 Rejects Defective Tablets: User-programmable tablet rejection system automatically identifies and rejects tablets based on compression force changes and the position of the upper and lower punches at maximum compression. Consistent Weight Control: Feeder paddle speed and fill time of the die are adjustable, allowing even hard-to-tablet products to be produced at a consistent weight.